Cookies! One of the best invention mankind has brought! 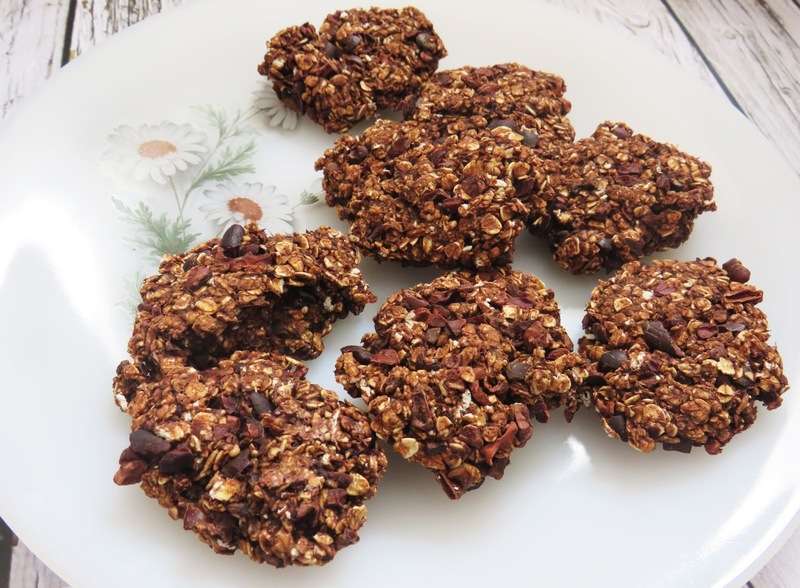 We all love eating delicious cookies but not all the time because that's not exactly the healthies options - sadly. I'm a big chocolate cookie lover and because of that, I wanted to share with you this amazing recipe I discovered online. 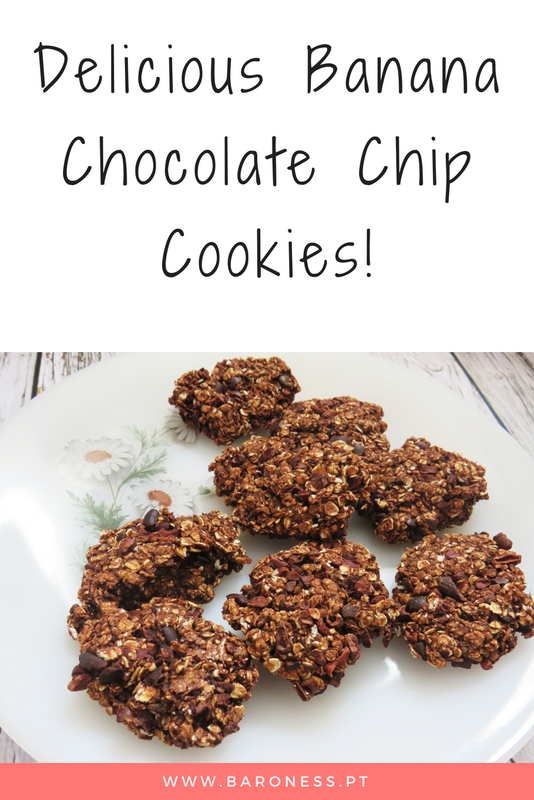 So I was researching a healthier version of chocolate chip cookies and found this recipe -original- and thought OMG this is really amazing and quick! And doesn't need a lot of ingredients so I decided to give it go. Another marvellous thing is that it doesn't require sugar! 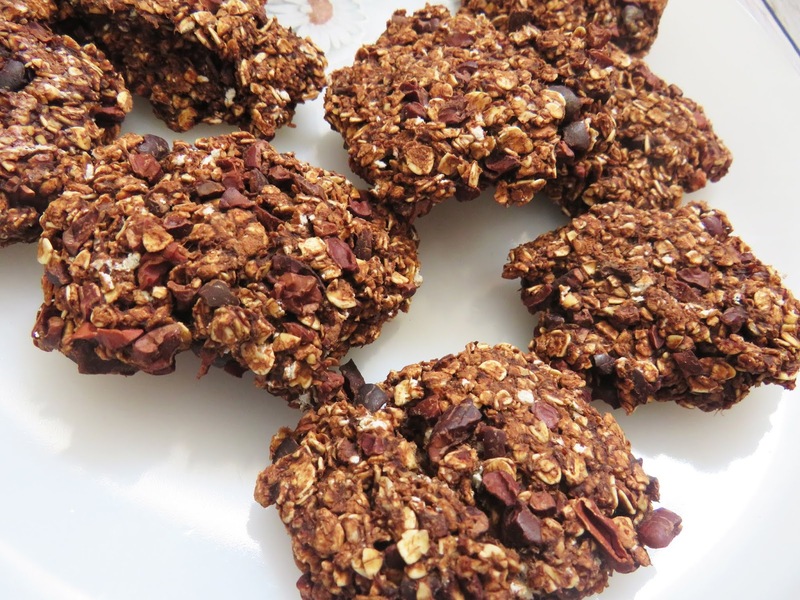 The only sugar the cookies will have are natural from the bananas, the oats and/or if you decide to add some mix-ins. NOTE: Both unsweeten cacao and chocolate chips that I used are 100 vegan! Start by preheating your oven to 180ºC and line a baking tray with parchment paper. 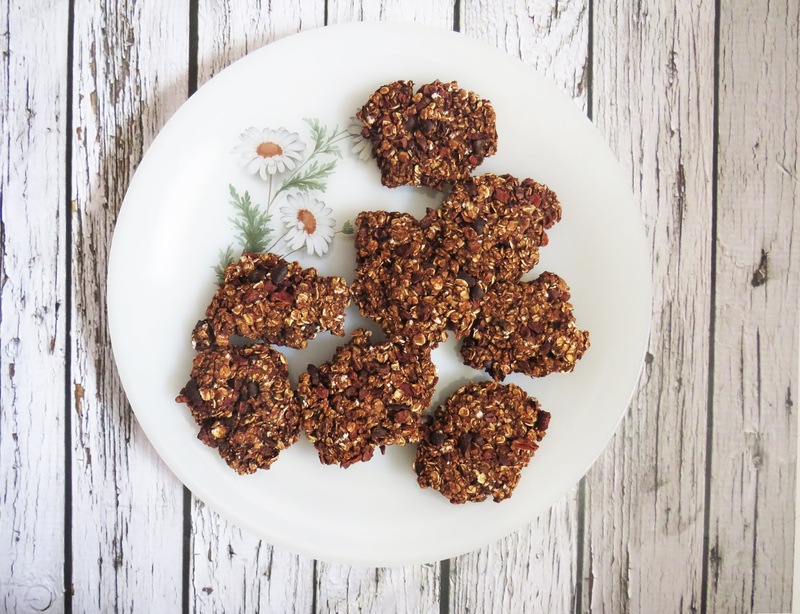 Mash both bananas in a bowl, and them mix up the two tablespoons of unsweetened cacao and the cup of quick oats until it starts to look like a cookie-dough like a batter. Keep mixing until it starts to look with a good consistency. Fold in the optional extra additions to the batter. Place about 10 to 15 clumps of the dough evenly onto the tray and place them in the oven. Bake for about 10 to 15 minutes. Voilá! You can enjoy them warm or cold it's up to you!